In July 2017, our family went to Orlando, FL. Being from California, we are familiar with Disneyland, Universal Studios, and Sea World. Our kids were dying to go to Universal Studios Orlando. That place is not cheap especially for a family of 6. Although Universal Studios Hollywood has some entertaining aspects, it is not my #1 amusement park. I was worried Universal Orlando would be similar. Boy, was I wrong! Universal Studios Orlando is awesome! Our family went to both Universal Studios and Islands of Adventure. I highly recommend both. This post will be focused on Universal Studios. The park is divided into different areas. Hollywood, New York, San Francisco, Springfield (Simpson’s), Woody Woodpecker’s KidZone, and Wizarding World of Harry Potter (Diagon Alley). Each area is so well done. As closing time was approaching and there were less crowds I loved causally strolling the park and getting a closer look at everything. There were plenty of rides for all our kids ages 7-12. For the younger and shorter crowd, there is a Woody Woodpecker KidZone. Within that area there is a roller coaster, Barney World, and Curious George Land. All decked out super cute with water features so plan to get wet. It is hot in Florida but all the lines are air conditioned and an experience in themselves which helps pass the time during long wait times. #1 Tip: Discount Tickets through undercovertourist.com I’ll be honest, I was a little nervous about the legitimacy of this site. I didn’t need to worry though because our tickets were emailed to us within 24 hours, they were legit, and saved us a few hundred dollars! Score! Tip #2: Universal Studios does have a Universal Express Pass. For an additional fee, you can pay to skip the regular lines and pretty much get to the front of the line without much waiting. We did not purchase this add on. Tip #3: Stay in a Universal Resort. With your stay, you get Early Park Admission. You will get 1 hour access to the park before it opens to the public. This is your time to get to Wizarding World of Harry Potter before the masses. Your stay also includes a shuttle from the resort to Universal City Walk which is the entrance to Universal Studios. Get to the shuttle prior to 7:30am in order to be in the park at 8:00am so you can take full advantage of Early Park Admission. We stayed at the Cabana Bay Resort: review post about that resort will be posted later. Tip #4: Entrance to the park requires you to go through security and walk through Universal City Walk. Highly recommend purchasing your tickets prior to arriving at the park which will result in less standing in line. Tip #5: Download the Universal Studios Orlando app. It has a map and attraction wait times. We put this to good use. Tip #8: Highly recommend the Tonight Show Ride in the New York City area. You do need a virtual line pass in order to ride. The pass dispensers are located next to the attraction entrance and will tell you what time to return to the ride so get your pass early. You need your Park Ticket in order to receive the line pass. Tip #10: Utilize the Single Rider line for the rides with longer wait times. This saved us a lot of time. Our 2 braver children and The BizNinja put this to good use. You will be in line together for the entire wait but will separate and join another group for the ride. Tip #11: There is a child swap option at each attraction if you have children who do not meet the height requirement. Tip #12: There is a great ice cream place inside Wizarding World of Harry Potter. Soft serve chocolate and mint inside a waffle cone…my fav! They have some fun and interesting flavors also. Butter Beer is the the big thing in Hogwarts. Tastes like butterscotch…wasn’t my favorite but I was probably the only one with this opinion. Tip #13: We ate at Finnigan’s Bar and Grill in the New York area. It has table service with an Irish flare. It was decent and reasonably priced. Tip #14: I saw a sign outside the park that said no outside food or drink but I walked right in with a backpack full of snacks, sandwiches, and waters. Tip #15: In order to ride the Hogwart’s Express you HAVE to have a Park-to-Park ticket. This ticket will allow you to go back and forth between Universal Studios and Island of Adventure within the same day. For Harry Potter fans, this is a cool experience and one I would recommend. Don’t miss walking through the brick wall at Platform 9 3/4. Harry Potter and the Escape From Gringotts: Amazing! Long Line. We hit this during the Early Admission Hour. Despicable Me: Had a hour plus line all day. Revenge of the Mummy: This is a pretty fast indoor roller coaster. Our 7 year old was in tears by the end but then wanted to go 2 more times. Line moves pretty fast. Transformers: Usually a long wait. We happened to catch it at the end of the night and walked right on. Earlier in the day, some of us used single rider. Men In Black: You get to shoot aliens. Line keeps moving. Race Through New York: There is a little show prior to the ride. It’s so fun especially if you are a Jimmy Fallon Fan. 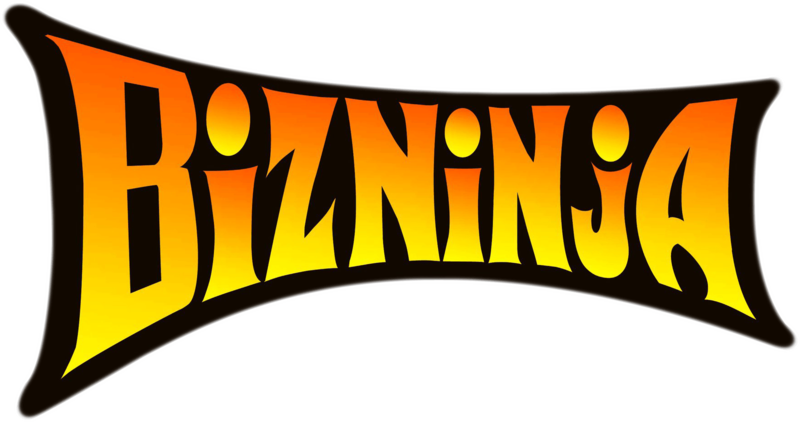 Make sure to follow The BizNinja Wife on Facebook and Ig.